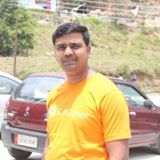 With experience of almost 6 years in Software Industry, I am working as Android Developer and Corporate Trainer with MCN Solutions Pvt. Ltd.I am Most Valuable Professional(MVP),Speaker and Author of C#Corner. I have developed many projects of web and mobile technologies. I have passed a Master degree in Computer Application in year 2013. I like to learn and share new concepts of latest Technologies , so working in current company I had delivered many chapter events ,workshops and public speaking in different- different collages and universities of North India.